Firstly, I made sure I had got all of my ingredients out in front of me so that I knew I had everything that was needed, and easy to reach. I always weigh out all of them first so that when it comes to making the cake I am not rushing with the measurements. I am aware that most of the products that I am using are from Aldi, but this is not an Ad I just think Aldi have the best ingredients for a fab price. Once everything is weighed I then start to put it all together in order with the recipe. I preheated my oven to Gas Mark 4 (350F or 180 Fan), whilst the oven was heating up I greased my baking tins with butter and stuck some baking paper to them. When the oven was heated my put my Walnuts on a baking tray so they could roast for 5 minutes. 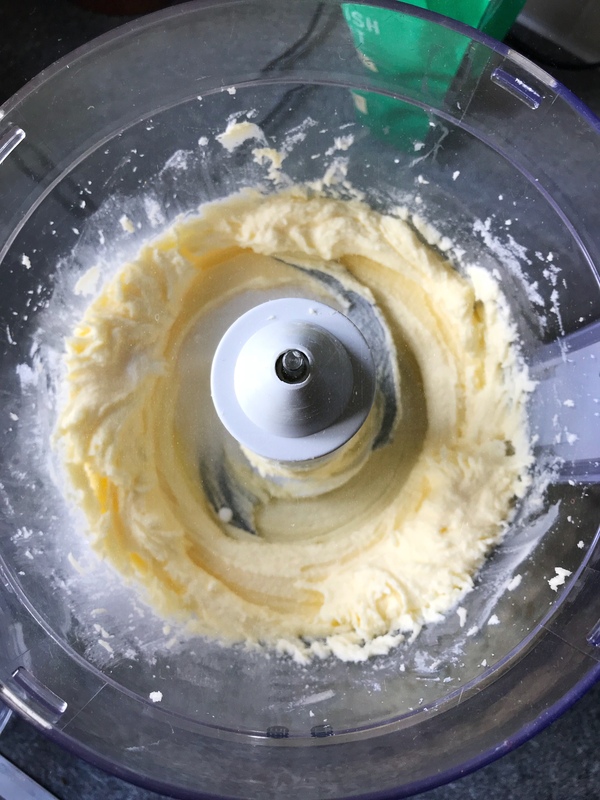 I then added the caster sugar to the mixed butter, making sure that I was scraping the sides as the process was going so that all of it was mixed properly. When the mixture then looked light and fluffy, it was then time to put my three eggs into a bowl and whisk them with a fork until they are all broken and mixed. They should then look like the photo on the right. Once that was complete it was time for the eggs to be added into the processor with the other ingredients. 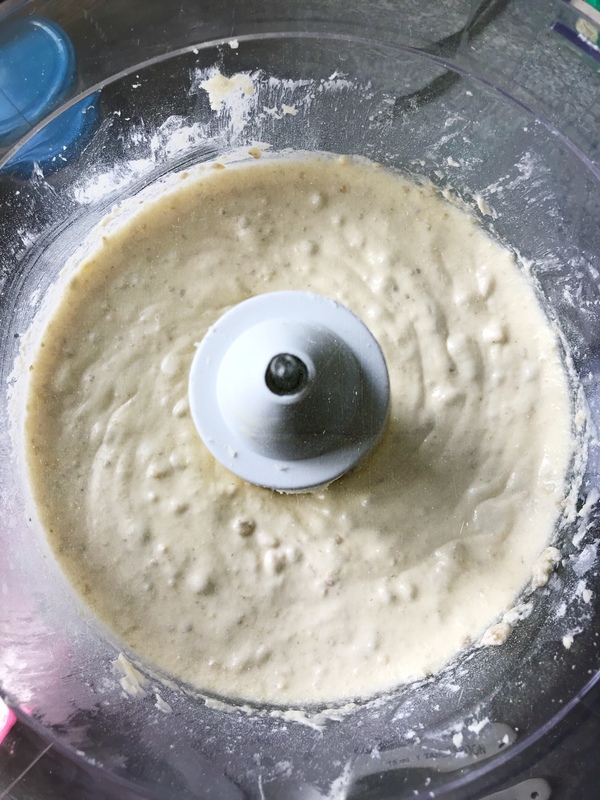 As I was slowly putting the eggs in in small amounts I was also adding a tbsp of the flour each time to make sure that the eggs did not curdle with the sugar and butter. 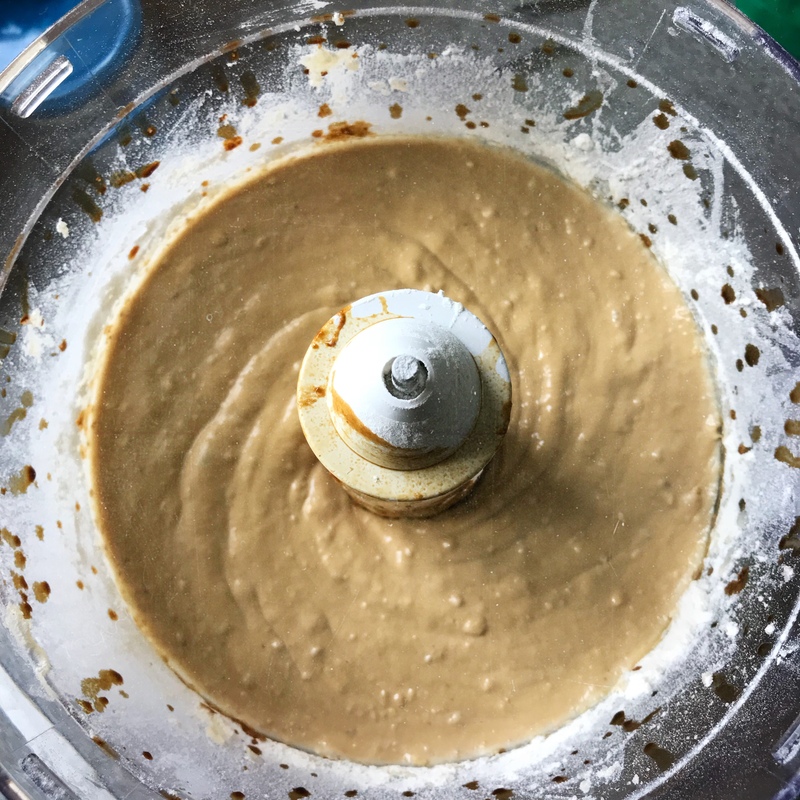 Once the Walnuts have been added the mixture should look of the consistency below, once the flour and baking powder were in there also. Once the mixture is tasting good and looking good, it is time for the main ingredient the coffee!!! 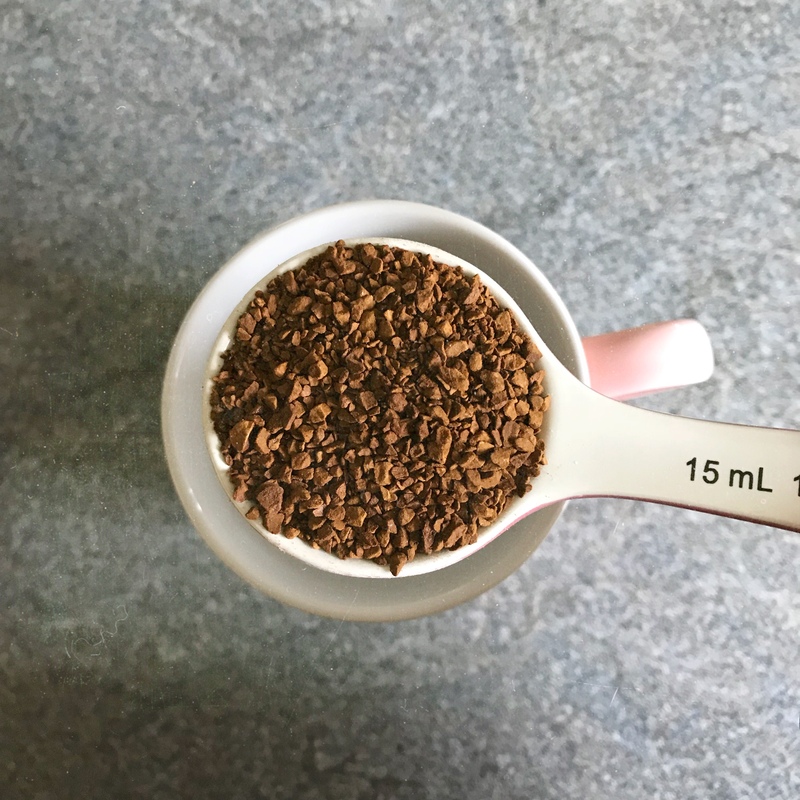 I mixed 1 tbsp of instant coffee with a tbsp of boiling water into a mug and mixed it with a tea spoon to make sure it has all dissolved. After the coffee has been added to the mixture it should look like this below a slightly darker colour than what it originally was. 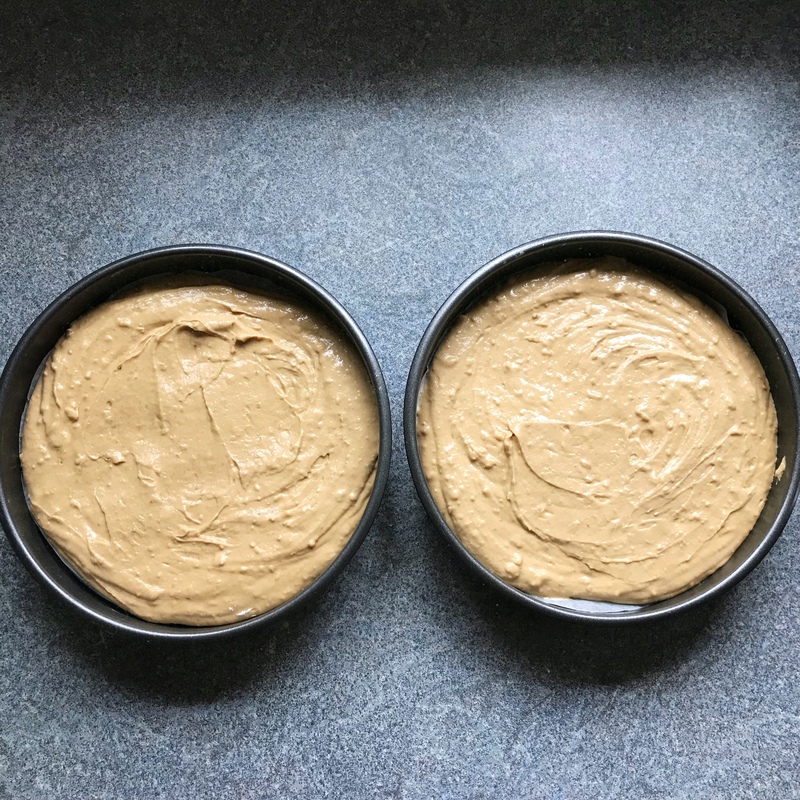 I then tried my best to make sure that the mixture was evenly shared into the baking tins I lined earlier, and then put them in the oven which was still heated at Gas Mark 4. 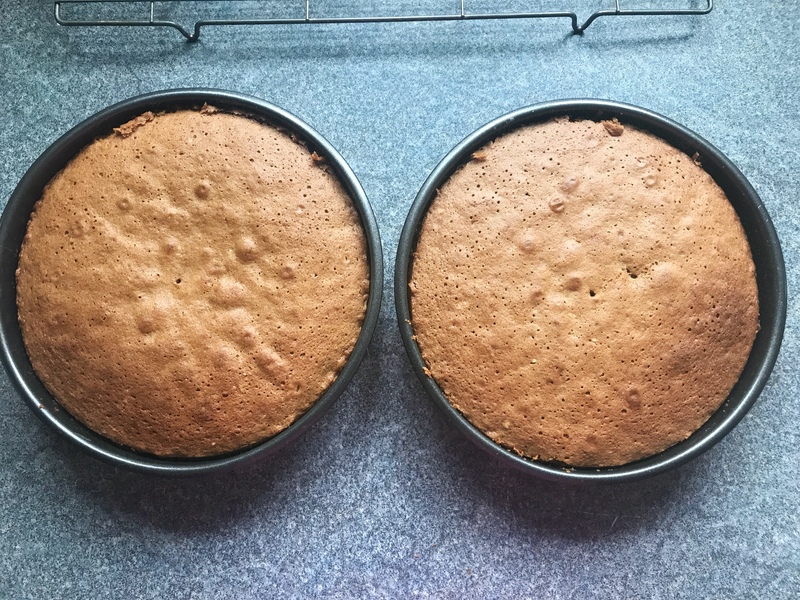 After 20-25 minutes of being in the oven I brought them out and put a stick in the middle to make sure none of the cake was sticking and then thats when you know they are done perfectly. I let these cool for about 15 minutes so none of my icing ran when I spread it over the top. Once the icing had cooled in the fridge and was a nice and thick mixture I layered the icing on evenly across the inside and the top of the cake. Then with a few left over walnuts I had I put them around the edge. This was the final result!! 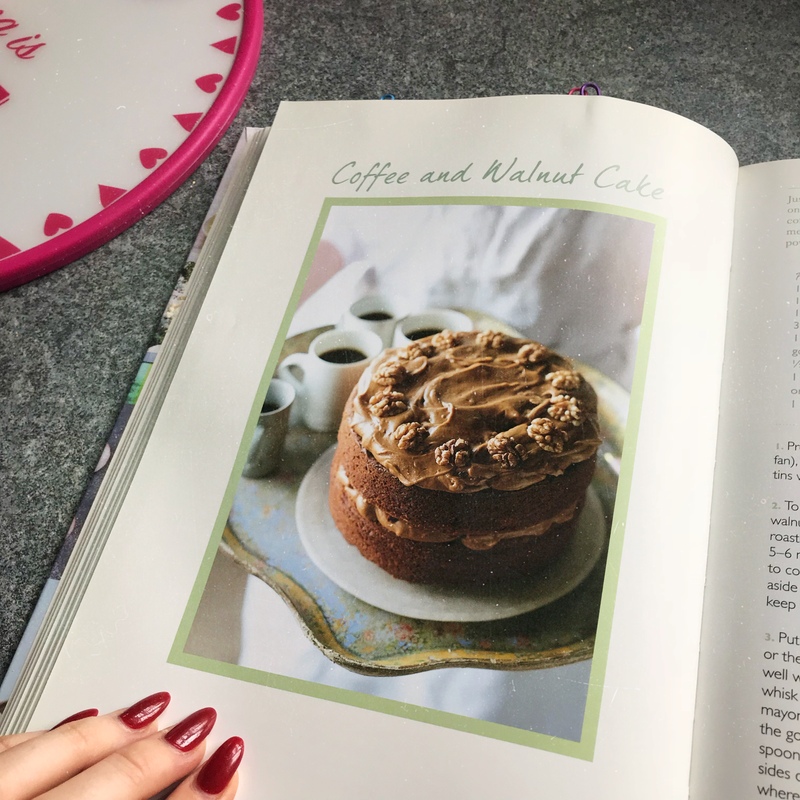 I am really happy with how it turned out, this cake is very rich so would be nice to have a small slice with a cup of tea or if you need an even bigger caffeine boost maybe a coffee if you are feeling brave…! If you liked reading this leave a comment for me and a like, and also if you try the recipe yourself! Previous Post Be-lated Mothers Day Outing! This looks so wonderful! I will have to try this. 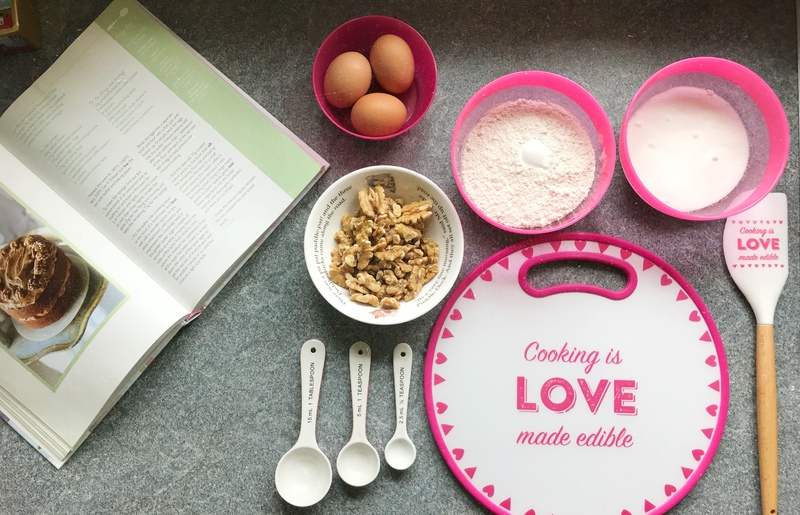 I love to bake and the GBBO always inspires me! Looks yum – thank you for sharing!